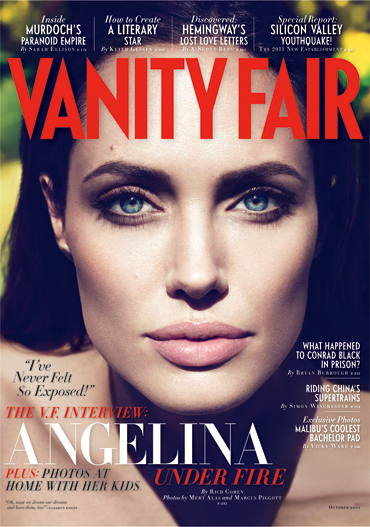 Angelina Jolie is the FACE of this new issue of Vanity Fair for their September 2011 issue. As you can see, it’s all about her FACE for the cover. She opened up to the magazine about her upcoming film, In The Land of Blood and Honey, which is her directorial debut as well as screenwriting debut. This film is all Jolie. She wrote it, she directed it. Jolie went all out for this one. I am very curious to see how the American critics react to it. So far, it seems that she’s got the support of the Bosnian people. It is all about them and they are good with what she’s done. So how did the script come to her? You can pick up Vanity Fair on stands September 1st.